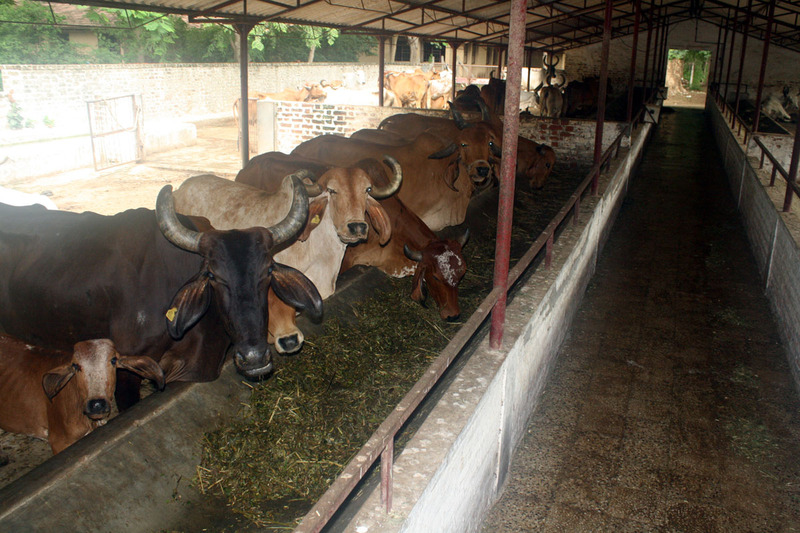 Currently, Muni Seva Ashram manages three Gaushalas (cow sheds) and one heifer rearing center. 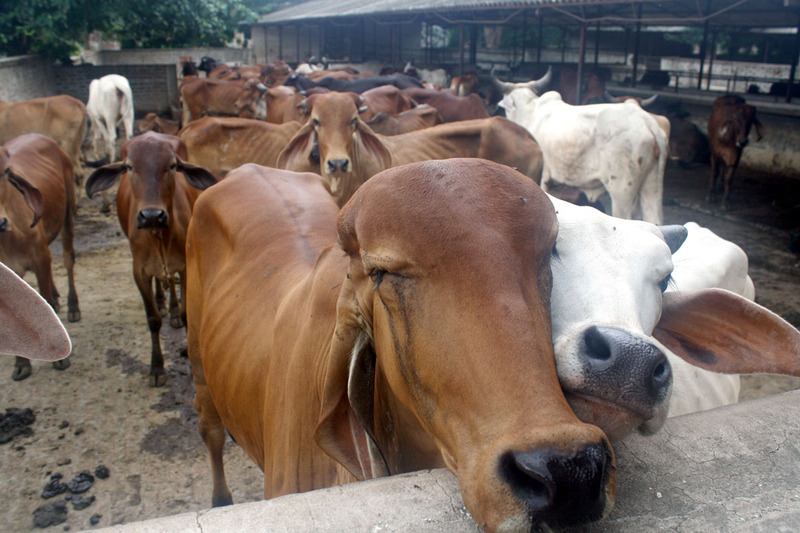 Our Gaushalas include Gir and Kankrej cows, both indigenous breeds of India. Our goal is to provide clean and wholesome milk to our patients, staff, visitors, and locals, which preserving the indigenous germplasm. Organic farming techniques, including intercropping, crop rotation, and scientific feeding and breeding policies, are practiced at all four locations. Cow urine, a rich source of nitrogen, is used in farming, and cow dung is used to power our renewable energy efforts. We have a gas plant to produce cow dung slurry, a rich source of nitrogen for the farm, and also to convert kitchen waste into rich manure. The biomass created at the farm is also used to create a natural manure called vermi-compost. As such, no chemical fertilizers, pesticides, or herbicides are used at any of our agricultural sites. All Gaushalas with male calves are given to poor farmers in the vicinity at a nominal cost. We also conduct camps in surrounding villages for vaccination, treatment of gynecological disorders, and deworming of cattle, and organize local conferences to extend scientific knowledge of animal husbandry to farmers. We have appointed a veterinary surgeon on a permanent position to attend to these very valuable gifts of nature.